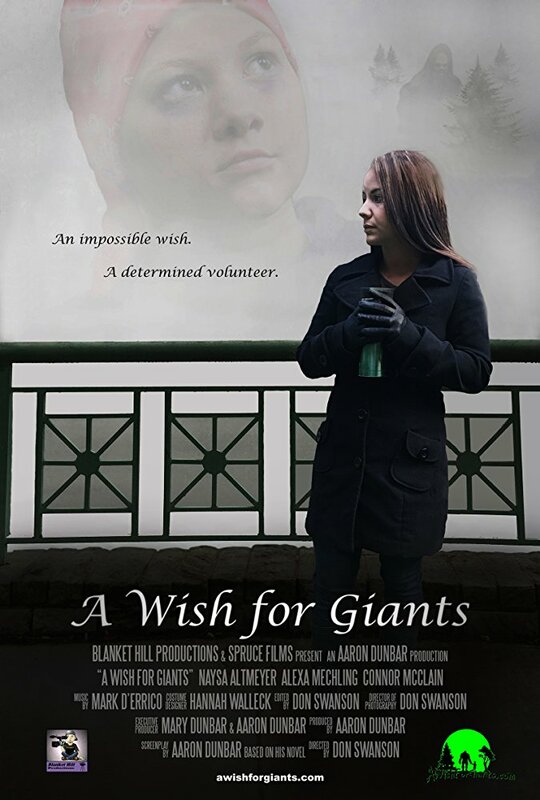 Based on the 2015 novel of the same name by Aaron Dunbar this follows Sophie (Naysa Altmeyer), a volunteer for the Wish Foundation, an organisation that grants wishes for sick children. Sophie's newest young lady might have given her her hardest task yet as Roxie is (Alexa Mechling) diagnosed with a brain tumour and her one and only wish is to meet Bigfoot. Sophie goes to great lengths to grant Roxie's wish but to no avail. At a loss at what to do next she reluctantly enlists the help of an arrogant, fame hungry, lech Derrick (Connor McClain) who insists he can solve her problem and make himself famous in the process. This has a touching and heart felt story at its core but I feel the movie adaptation has severely let it down. Painfully slow paced with equally excruciating acting from the whole cast it is really not fun to watch at all! Add to all that an incredibly over the top, lay it on as thick as possible, dramatically sad and overbearing soundtrack and that really tops it off. Because of the awful acting, horrendous timing and fake sympathy it is incredibly difficult to feel anything towards Roxie and Sophie. In fact Sophie's boyfriend (made out to be a bad guy) seems to be the only one that makes any sense. Devoid of genuine feeling pretty much throughout the ending is it's one saving grace. The only part of the movie that succeeds in plucking the heartstrings is Roxie meeting Bigfoot. Appearing for a mere 10 minutes the Sasquatch is poorly lit but from what you can see looks ok. It is a touching moment but then he disappears and the abrasive soundtrack comes back in full force. Plagued by bad lighting and fluctuating sound this is all rather difficult to sit through for the few minutes feels you get at the end. Roxie 's final narration over her moment with Bigfoot is"There is something magical about a wish..... If you believe in your heart your wish will come true" which is a lovely statement but too little too late I'm afraid.